Thailand is a collage of animated scenes that comprise bustling modern cities crowded with motorbikes and tuk-tuks, Buddhist temples tended by orange-robed monks, hill tribes selling handicrafts, lush landscapes dotted with traditional farming villages, ancient ruins and stunning coastlines peppered with gorgeous beaches and blue lagoons. 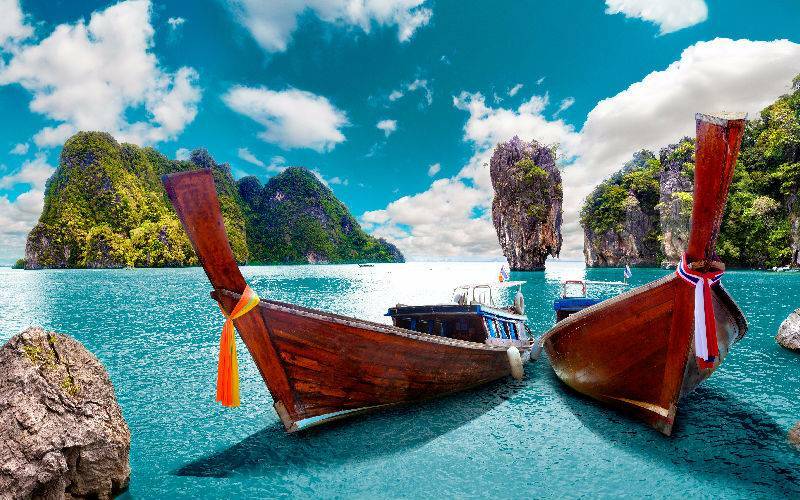 Here are the Top 10 Best Cities To Visit In Thailand. Picture: Wat Arun at night. 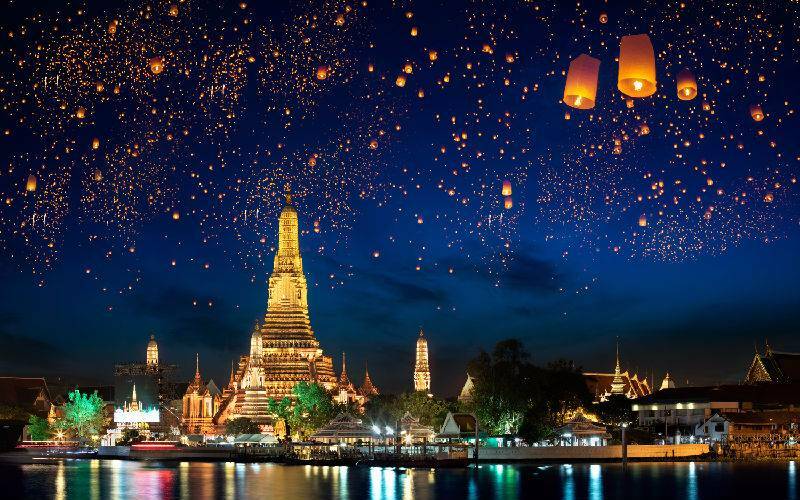 Bangkok is the capital of Thailand, and it's a city known for its ornate shrines and a glamorous street life. The boat-filled Chao Phraya River feeds its network of canals, flowing past the Rattanakosin royal district, home to the opulent Grand Palace and its sacred Wat Phra Kaew Temple. 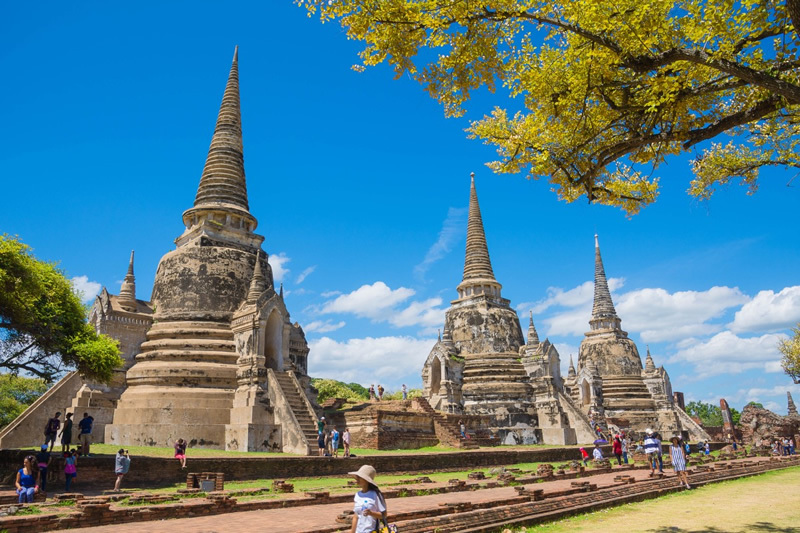 Nearby is the Wat Pho Temple with an enormous reclining Buddha and, on the opposite shore, Wat Arun Temple with its steep steps and Khmer-style spire. 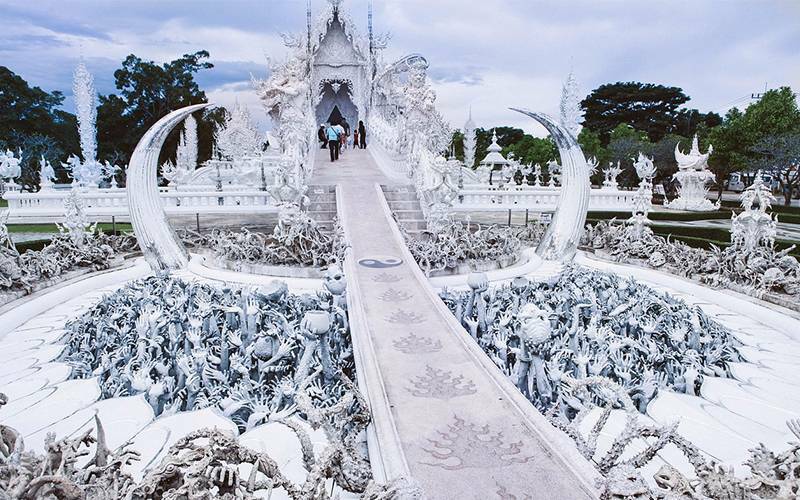 Picture: White Temple in Chinag Mai and Chiang Rai. Chiang Mai is a city in the mountainous northern Thailand. It was founded in 1296, and was the capital of the Lanna Kingdom till 1558. Chiang Mai also houses hundreds of Buddhist temples like the Wat Phra Singh and 15th-century Wat Chedi Luang, adorned with carved serpents. Picture: Sunrise in the northern of Thailand about the focal point of the Golden Triangle at the intersection of the three countries;Thailand, Myanmar, Laos. 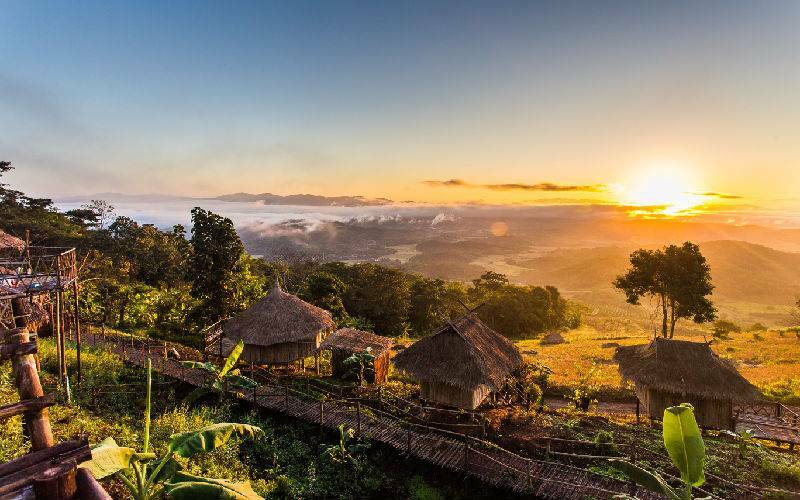 Chiang Rai also city in northern Thailand, in the mountainous province of Chiang Rai. The city which is near the borders of Laos and Myanmar. Picture: Sanctuary of Truth, is a temple construction in Pattaya, Thailand. 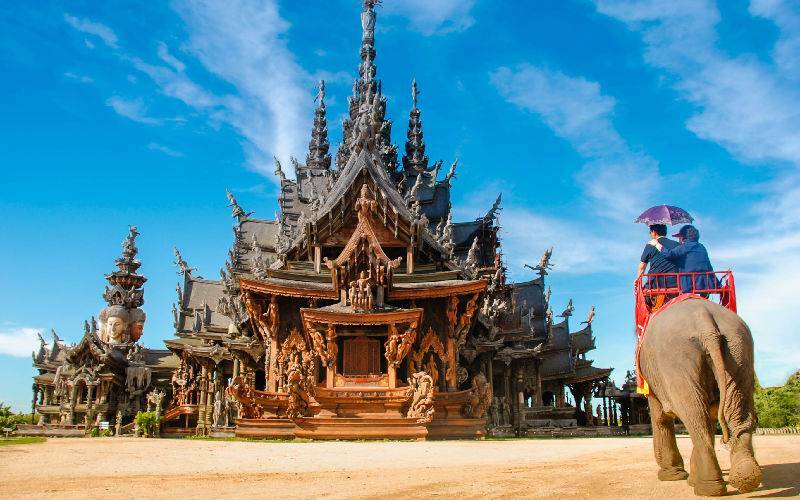 It is an all-wood building filled with sculptures based on traditional Buddhist and Hindu motifs. Pattaya city lies on the eastern gulf of Thailand and its popular for its beaches. It was formerly a quiet fishing village until recently that it's been modernized with resort hotels, high rise condos, shopping malls and 24-hours clubs. 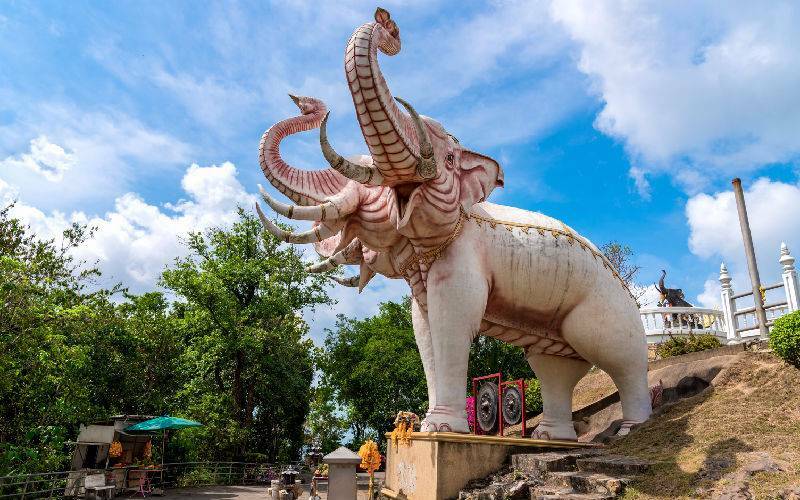 Picture: Three heads elephant statue in Hat Yai,Thailand. Hat Yai is a city located in Thailand's far south near the Malaysian border. It is a commercial hub and a shopping destination. There is a floating market at KhlongHae where vendors sell local foods and handicrafts from traditional boats docked in a canal. There is Hat Yai Park, a hilly green area just outside the city center that features a standing Buddha statue and a cable car. Picture: Ayutthaya Historical Park, a famous UNESCO World Heritage Site in Thailand. Ayutthaya is a city in Thailand, located approximately 80km north of Bangkok. The city was the capital of the Kingdom of Siam, which was a prosperous trading port before it was destroyed by the Burmese in 1767. The ruins of which form the Ayutthaya Historical Park, an archaeological site that features palaces, Buddhist temples and monasteries. The park is on an island between 3 rivers. Picture: Novice monk being loy kratoactivity on the ship in Wat-tung-sad-tee Temple in Khon Kaen. 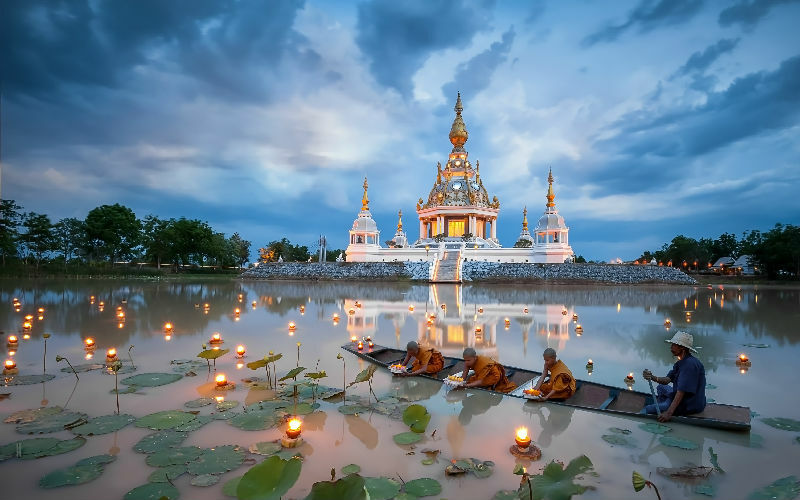 Khon Kaen is one of the major cities in Isan, Thailand. It is the capital of Khon Kaen Province and the MueangKhonKaen District. KhonKaen make up the big major cities of Isan, with the other cities being UdonThani, Nakhon Ratchasima, and UbonRatchathani. 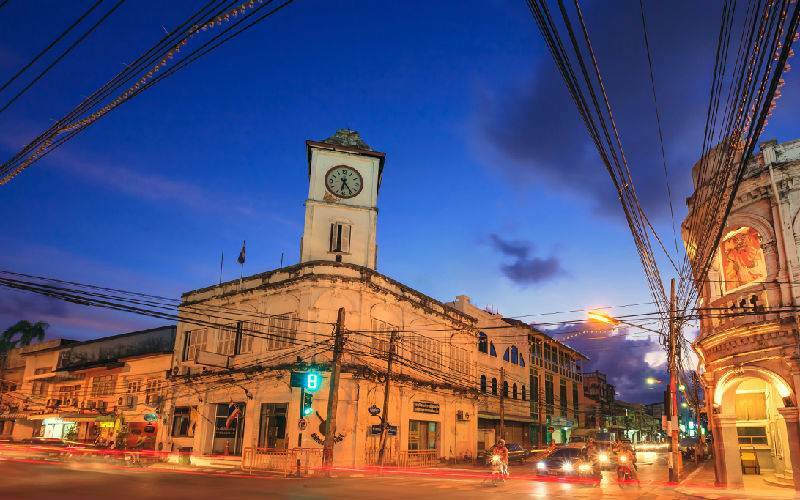 Picture: Old building in Phuket town twilight, Thailand. Phuket City, on Phuket Island, is the capital of Thailand's Phuket Province. Phuket has its old town, the Baan Chinpracha mansion built in 1903. The building features Italian floor tiles, antique furniture. Set in a 1930s manor, the Thai Hua Museum has exhibits on Phuket's culture and history. Picture: 007 Island in Phuket. 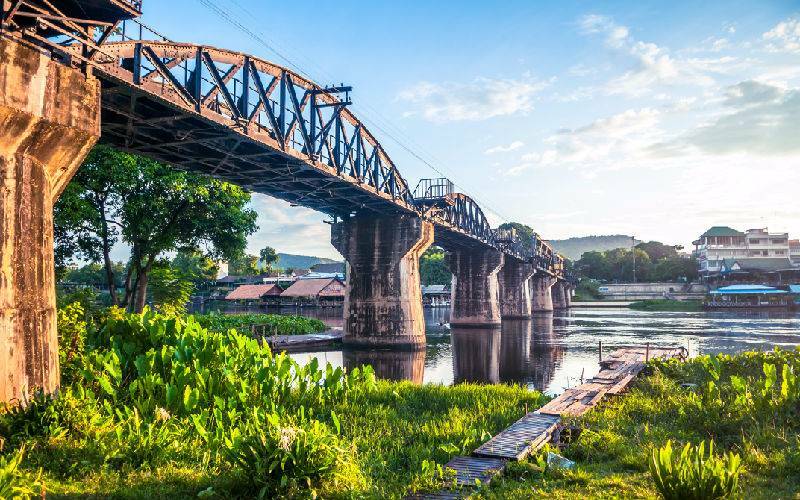 Picture: Bridge on river Kwai. Kanchanaburi is a town in western Thailand. It's popular for its Death Railway, built during WWII. The line crosses over the River Khwae Yai via the Death Railway Bridge. Displays at the JEATH War Museum honor the prisoners of war who died building the bridge. The Thailand–Burma Railway Centre explores the wider history of the railway. Nearby, thousands of Allied soldiers are buried at the Kanchanaburi War Cemetery. 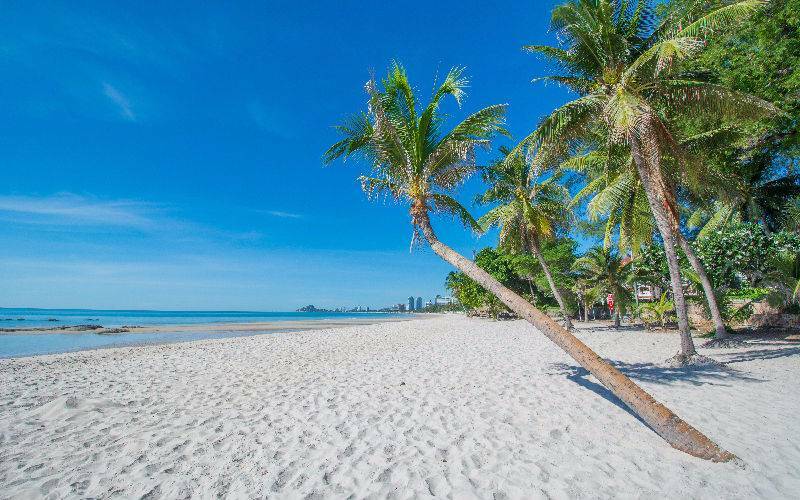 Picture: White sandy beach in Hua Hin. Hua Hin is a seaside resort on the Gulf of Thailand, in the southern Thai province of Prachuap Khiri Khan. Hua Hin Beach is popular for kite surfing and other water sports, and the main beach area is lined with high-end hotels and seafood shacks.